(Sorry for the vague Lisa Stansfield reference, you might get it when you see the name of the product) Anyway - Let's get straight in there guys. Chub rub. You know, when our ample thighs can't help but make friends with each other? Nasty rubbing, chafing and for some, down right bloody soreness can be most inconvenient and painful. With Summer round the corner and things hopefully warming up, anything that keeps the old chub rub at bay is a very welcome addition to my wardrobe. The lovely Laura at The Big Bloomers Company has spent an absolute age developing some rather nifty anti-chafing shorts and very kindly sent me some to try. First and foremost, what sets The Big Bloomers Company apart from most UK brands out there is their size range. The shorts alone range from a UK 12 - 40. Probably the biggest size range I've seen for underwear and hosiery ever. I received the shorts just before my trip to London, so I thought what better chance to give them a really good testing than in hot, sweaty London. On and off trains, in and out of taxi's, pounding the streets of London. 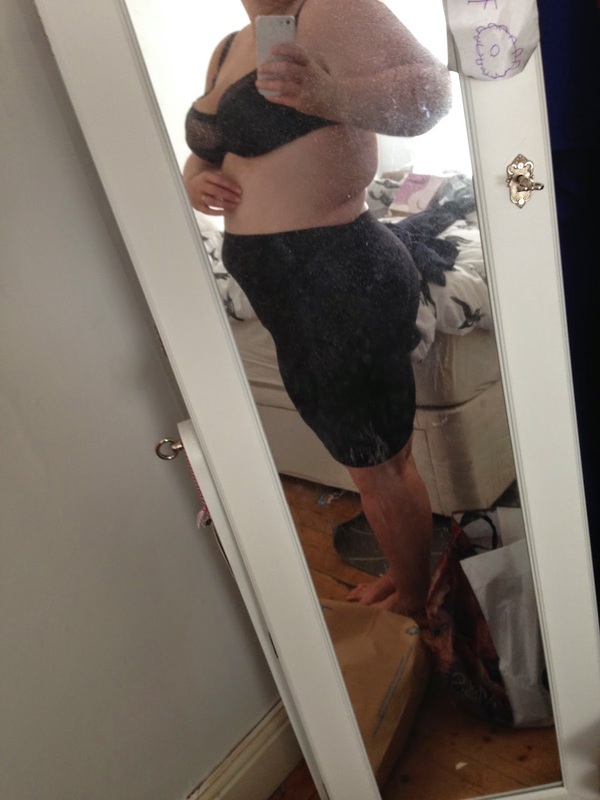 The first thing I noticed about the shorts was the soft fabric, the fit was great and they felt very comfortable. OMG my mirror seriously needs cleaning. Thank you once again to the Big Bloomers company for such a brilliant product. I just bought ordinary shorts off Amazon, but I love the thought of these, they are probably a far better material for the purpose. they sound fab, do they not make you even hotter tho?